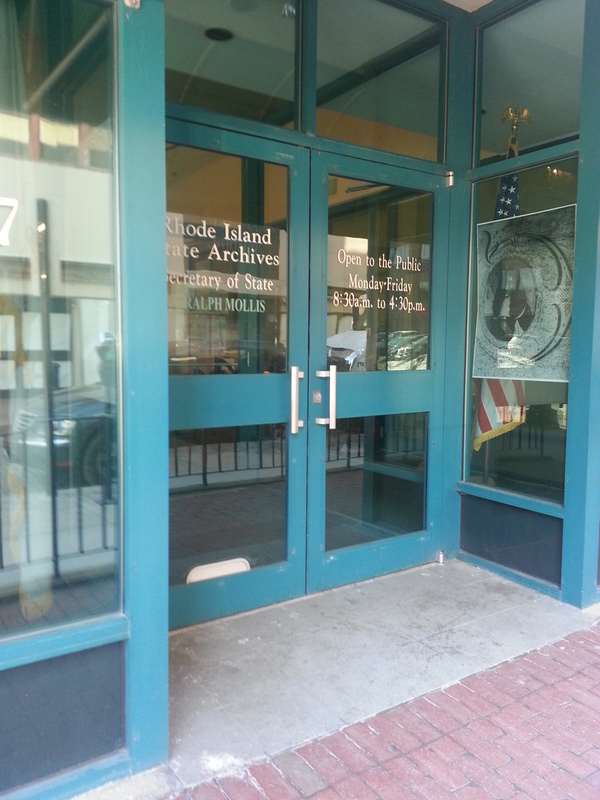 I have been to the Rhode Island State Archives at 337 Westminster Street, Providence, several times, and I’ve only begun to explore its holdings. These are some things I have found there. There are some materials presented on the web page (linked above), but they are mostly items of general or historical interest. For genealogists seeking to find a name in an obscure, everyday record, the online search is unlikely to help. If you need to look for something at the archives, note that in the “Reference” section of the Archives web page there are instructions for “Planning a Visit” and “Unable to Visit“. The archives are located at 337 Westminster Street, Providence. I have parked several times at the lot next door on Westminster Street; if you have your ticket stamped at the archives, you can get up to two hours free. I think the prices after that are quite high, so beware. It is sometimes possible to park on the street, and use the meters. Currently 8 quarters get you two hours. The meters will only hold up to two hours of time. 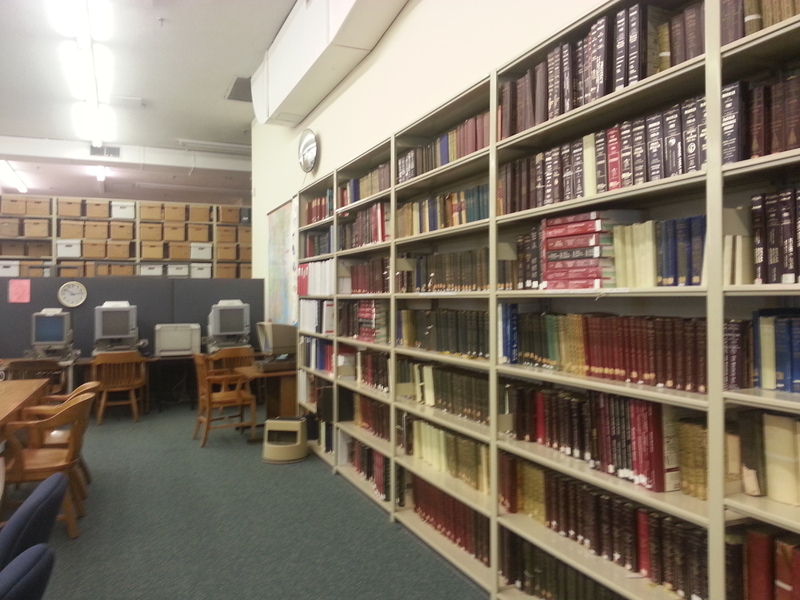 Basically, the archives hold state government information. So you would have to determine if what you are looking for had anything to do with the state government. If you can’t visit, procedures for submitting written requests are available on the web page I linked to, above. But a quick phone call or email might help you determine, with the archivists, what record types they have in the archives, and whether your request will be appropriate. 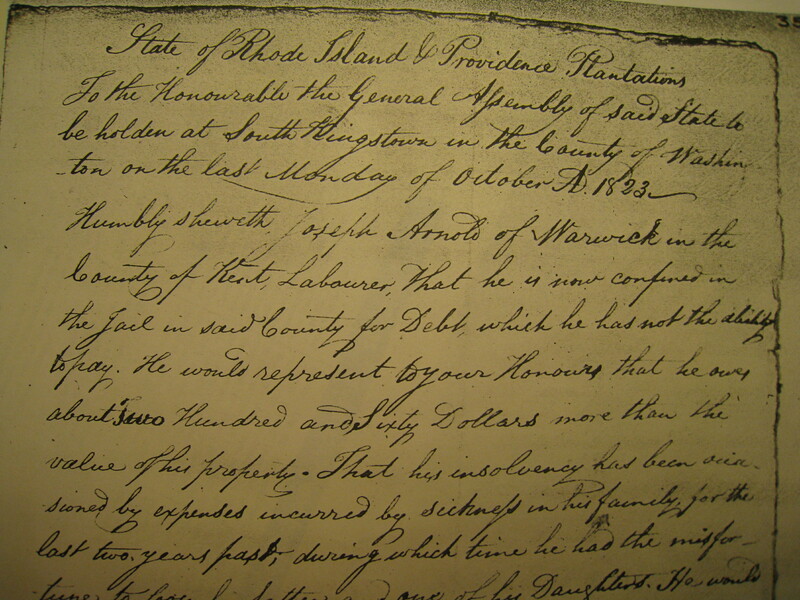 The state of Rhode Island began to collect birth, marriage and death records from Rhode Island’s cities and towns around 1851. At the archives, you can access these records, which are often filled with details. 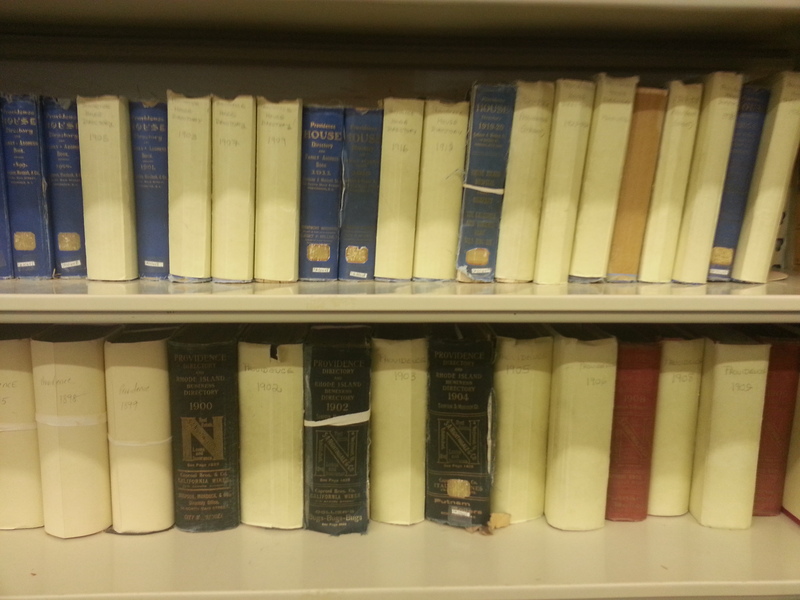 There are index volumes to consult, and they point you to the record pages, which are on microfilm. Ancestry.com is starting to display abstracts of these records, but I would encourage anyone to obtain the full record if possible. There are laws covering the privacy of the more recent records, so of course some of those will not be available. The 1865 Rhode Island State Census shows the town of residence and street (circled; in this case, Hospital Street), plus (in order of arrows) street number, country/state, or (if R.I.) town of birth, occupation, school attended, disabilities, and military status, among other things. This image can be clicked to enlarge. 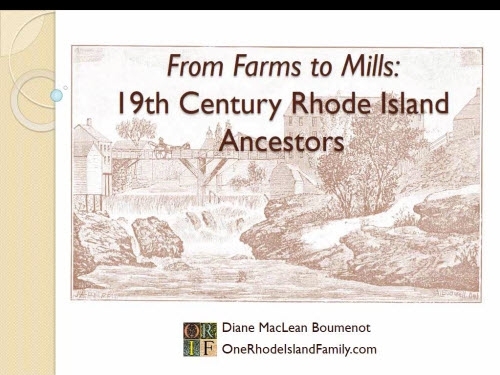 Before Ancestry.com began to carry the R.I. 1865 and 1875 state census records, the Rhode Island state archives would have been one of the few places to find them. 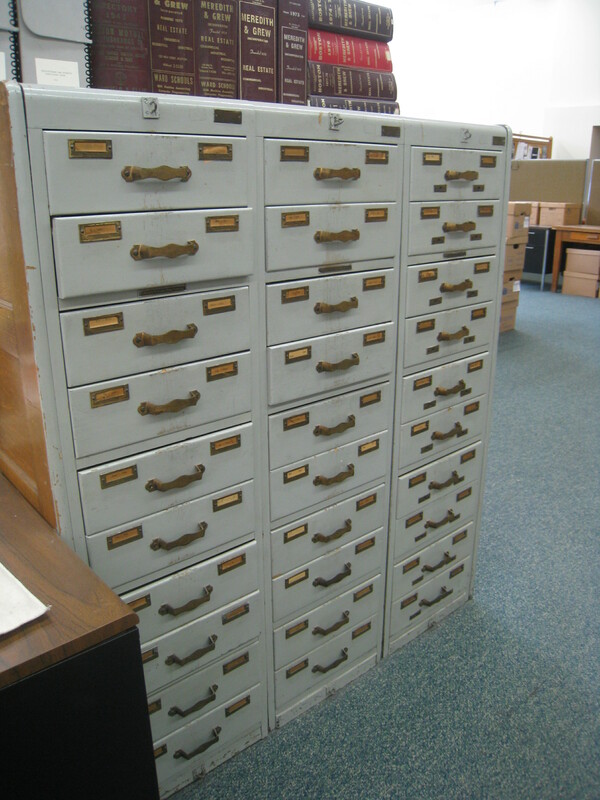 The 1875 census is indexed in a card file, and the 1865 census is indexed in a file which is on microfilm. Full records for each are on microfilm. These records have been very helpful for me. The 1865 record pages contain a lot of details such as street of residence and birth place. These census records have also been microfilmed by FamilySearch, I believe. Even if your ancestor didn’t serve in state government, or work for the state government, there still may be state government documents related to them. I had found a newspaper reference to this bill (above) before the General Assembly in October, 1823, and wondered if it could refer to the Joseph Arnold of Warwick that I am researching. Ken Carlson of the Archives staff was able to locate the record, and I viewed it on microfilm. If you are curious about possible assembly bills about your ancestor, you could ask the staff there how to search for them. There are a variety of city directories and standard genealogy guides at the archives, and I have barely begun to explore them. Each time I go I also notice interesting books such as military lists, compiled sources, and histories. Towards the back of the main room there is an old file, created many decades ago, by a volunteer group (the local DAR, maybe?) which contains references from numerous repositories around the state about Revolutionary War military personnel in Rhode Island. 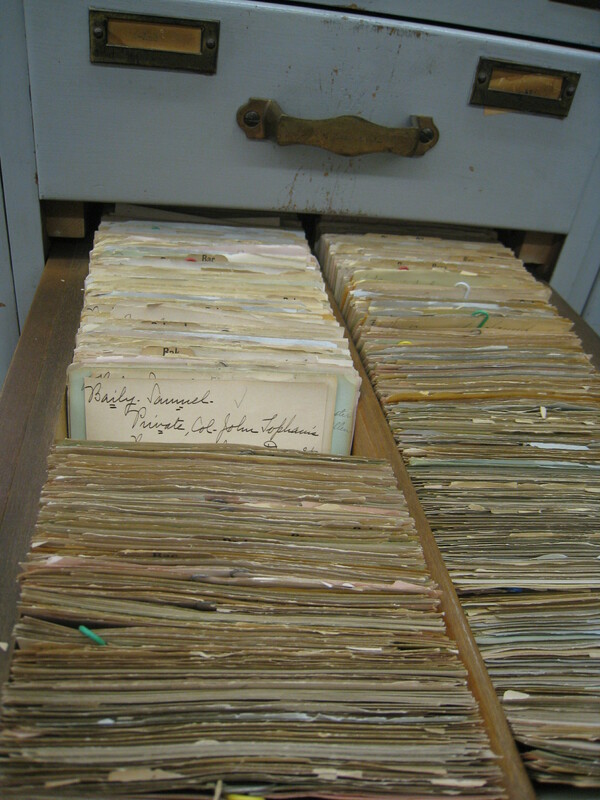 Each slip tells the source of the note at the bottom, and often those sources are NOT from the state archives. The one shown here (below) refers to a manuscript at the Rhode Island Historical Society. 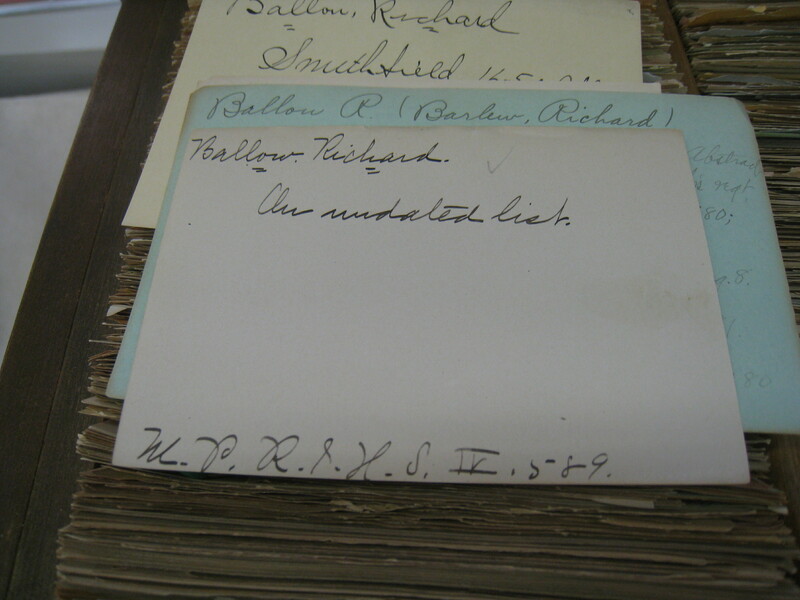 Note that one of the slips in this picture offers an alternate spelling of Richard Ballou’s name – something I’ve never searched for or seen before. I photographed the slips for Ballou, and for Phillip Andrews of Warwick. Entries for my ancestor Richard Ballou. Reference to the source is at the bottom of the card. I was already aware of this undated list, a manuscript at the Rhode Island Historical Society. 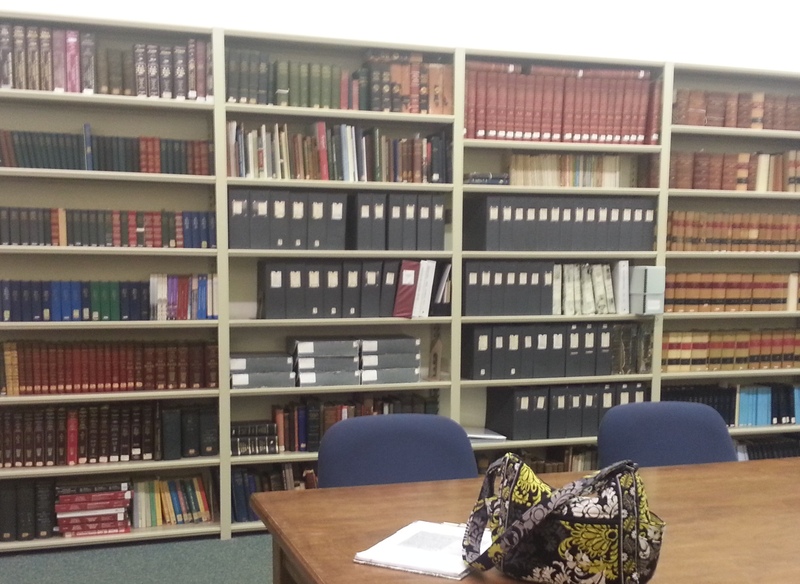 I enjoy my visits to the archives and the archivists have been helpful. I have barely begun to explore the resources there, so if you’re curious, visit or contact them to learn more. — Photos by Diane Boumenot. I think this is great! In fact, I think this presentation could be a model for archives everywhere, as well as for historical societies throughout the country. 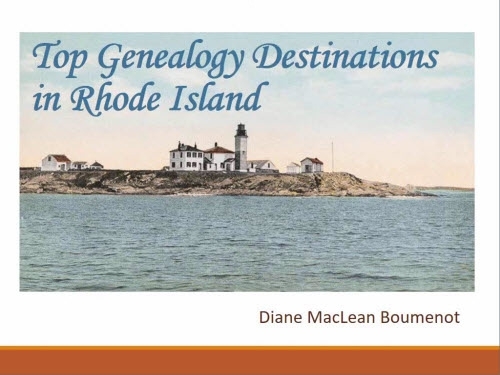 I hope you might be able to give a presentation to a large group of genealogists and urge them to prepare similar kinds of photos and text, so that people could access information from those sites and locations much more easily. For those who can get to those locations, to have a picture of what the place looks like, outside and inside, might make their visits much easier, more comfortable and more welcoming. 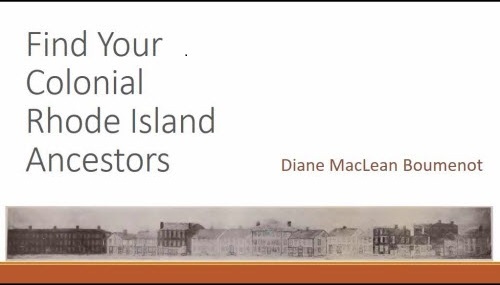 Whoever might read this, I urge you to use Diane’s presentation as a model for what you might do locally – and (don’t want to burden you, Diane, but…) perhaps send them to Diane and wherever those photos and information might be accessed. Thanks, Myron. Perhaps you might like to take a look at that Revolutionary War file yourself someday! What a great resource for you and your post helps those of us who don’t live close enough to go there to understand the holdings. And, of course, it’s always nice to hear when Archives and Archives staff are creating a positive experience for patrons! Thanks for a great post.